"Weird" is a catch-all term referring to anything strange, unusual, awful, or unintentionally funny that seems to fit with what else you'll find here. See also: creepy, amusing, and absurdity. Kuixing Temple 魁星宮 in Tamsui 淡水 is nominally dedicated to the eponymous Kuixing 魁星, god of examinations and one of the Five Wenchang 五文昌, a group of deities representative of classical Chinese culture. He typically takes the form of a man balanced on one foot with a writing brush in one hand, his body twisted in a pose suggestive of the strokes of Chinese calligraphy. 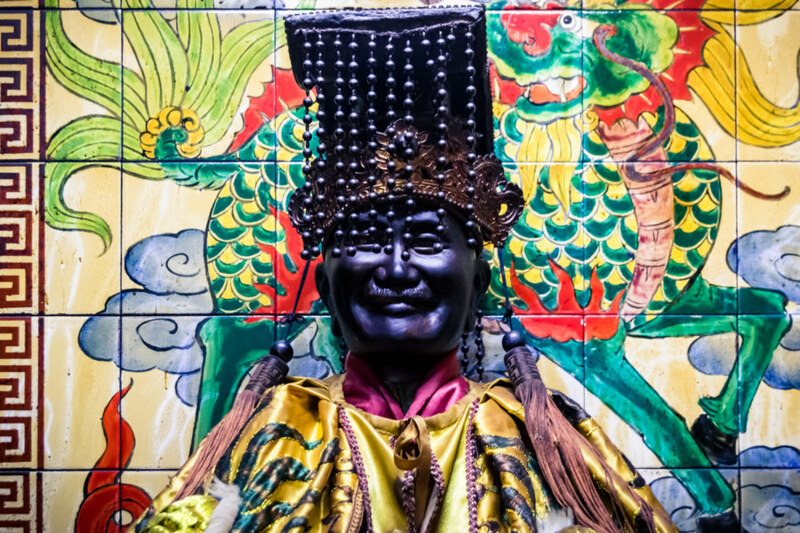 But you didn’t come here to read about Kuixing—this temple is notable for being one of only a handful of sites in Taiwan venerating Chiang Kai-shek 蔣中正, president of the Republic of China until his death in 1975, as a god. 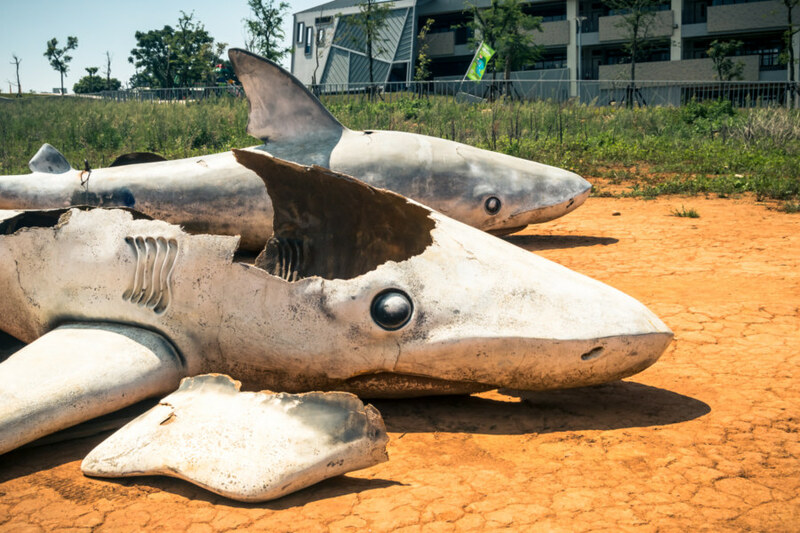 Taichung Shark Cemetery 台中鯊魚墳場 (pinyin: Shayu Fenchang) is an unlikely roadside attraction near Donghai University 東海大學 in Xītún 西屯, Taichung 台中. There is no great mystery here—a nearby restaurant and banquet hall by the name of Tong Hai Fish Village 東海漁村 dumped a bunch of junk in this farmer’s field sometime prior to 2009 and since then it has become a popular place for young Taiwanese to visit and take photos. Just have a look at the unofficial Facebook page or the relevant Instagram hashtag and location feeds for plenty of examples. 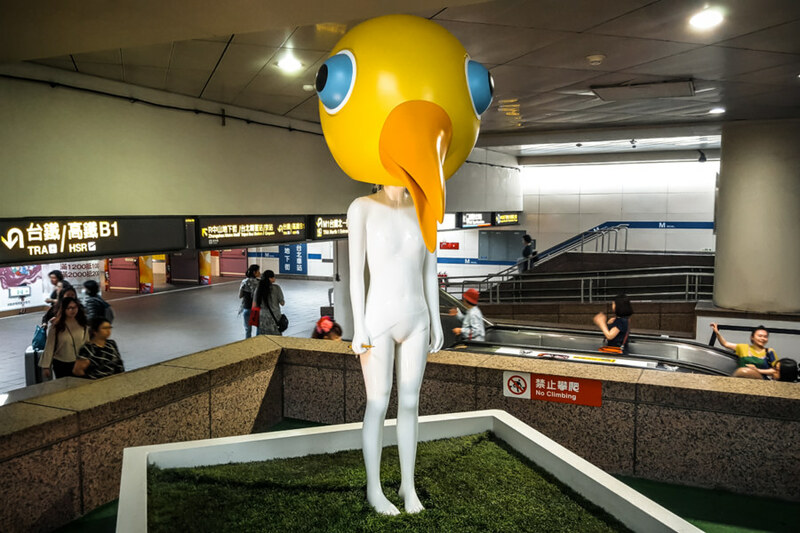 Road safety dummies are a distinctive feature of the streets of Taiwan. In Chinese they are generally known as engineering dummies 工程用假人 (pinyin: gongchengyong jiaren), warning dummies 警示假人 (jingshi jiaren), or, more formally, electric flag-bearers 電動旗手 (diandong qishou). 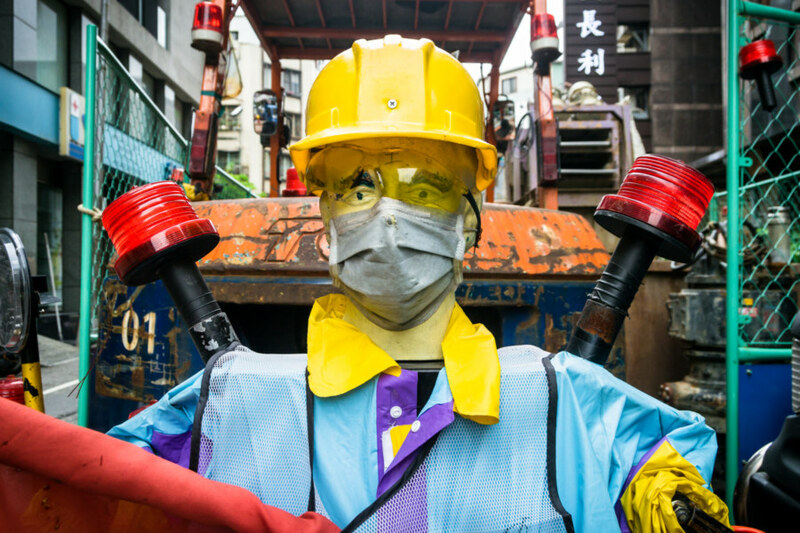 According to law these robotic figures must be setup at all roadside construction sites to provide some measure of protection for workers as well as warn passing motorists and pedestrians of potential hazards. When hooked up to a car battery their stubby arms pump up and down, waving flags and other objects to direct traffic. Construction companies typically decorate these dummies with safety vests and hardhats, though it is not common for workers to express some creativity and personalize their dummies. Some of them even have individual names and histories! The rest of this post features photographs of some of the many road safety dummies I have encountered over the years. 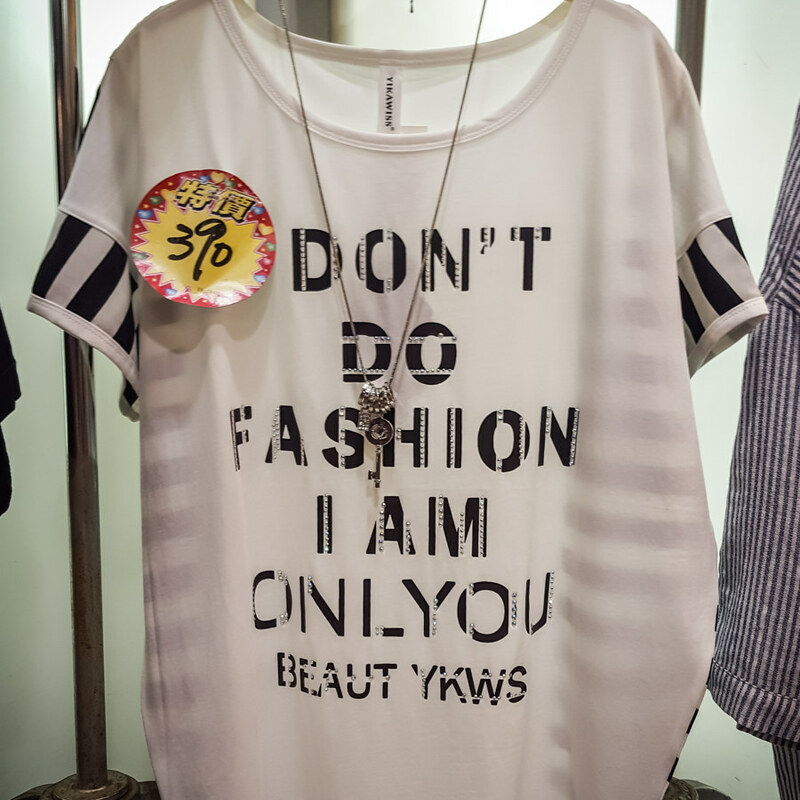 My ability to translate Chinese remains limited, particularly when it comes to the sort of conceptual language employed above, but I’ll do my best to provide the gist. 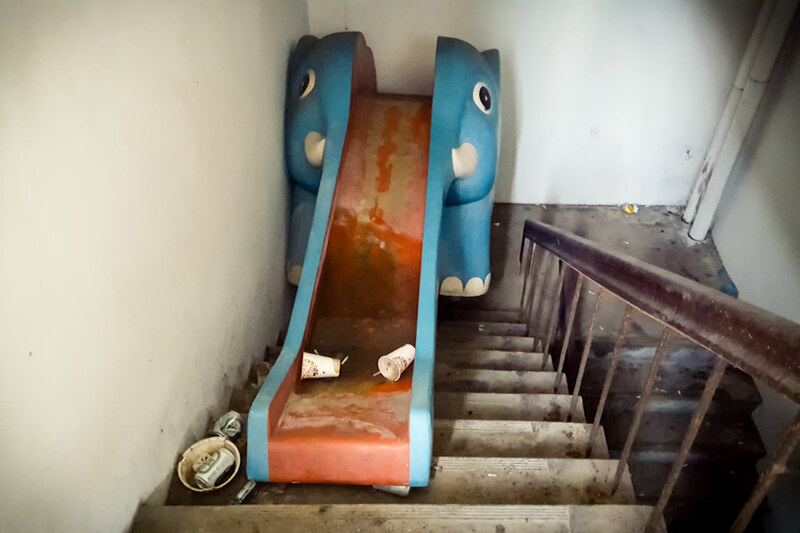 From what I can tell this piece is about the confusion and innocence of youth, of an entity in no hurry to grow up and face the challenges of the adult world. The grotesque bird’s head, disproportionate to the slender, prepubescent body, is meant to represent an exaggerated sense of alienation. There’s more—but I’ll leave it at that for now. You can find out more about this work on Facebook. 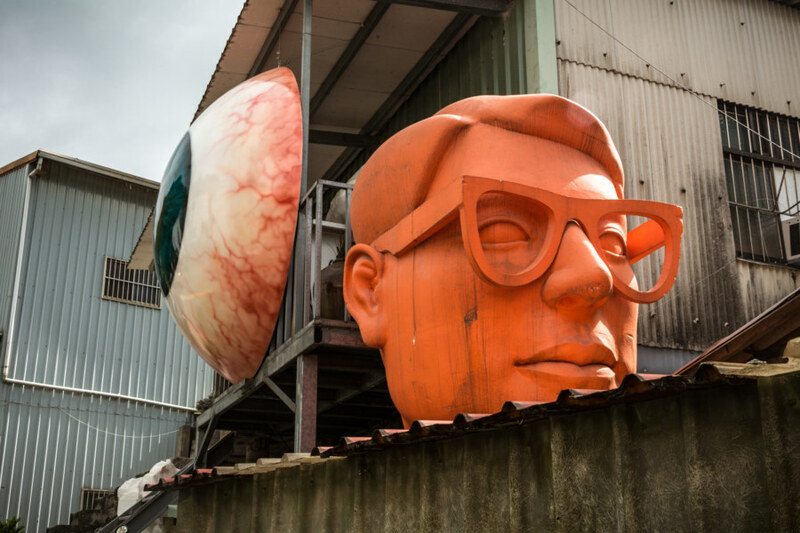 Stay weird, Taiwan! 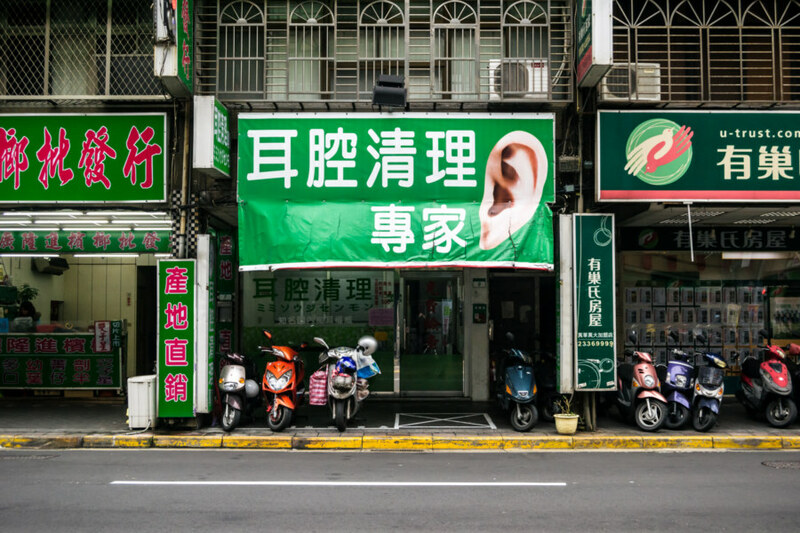 Here’s something you might not have seen before: a professional ear cleaning service in Wànhuá District 萬華區! When I shot this photo while riding around a couple of months ago I assumed it was a run-of-the-mill ear, nose, and throat doctor with a quirky sign out front. Turns out this is a famous shop by the name of Erqiang Qingli de Jia 耳腔清理的家 (loosely: “Ear Canal Cleaning Home”) where you can have your ears cleaned by a “professional ear cleaning master” (zhuanye tao’er shi 專業掏耳師) for about 500 NT. Apparently Yao Bin 姚賓, the octogenarian proprietor, will be happy to show off jars filled with grotesque things he has unearthed over the course of five decades of aural spelunking. I spied this scooter in a public park on the edge of Sānchóng 三重 on the first day of 2016. 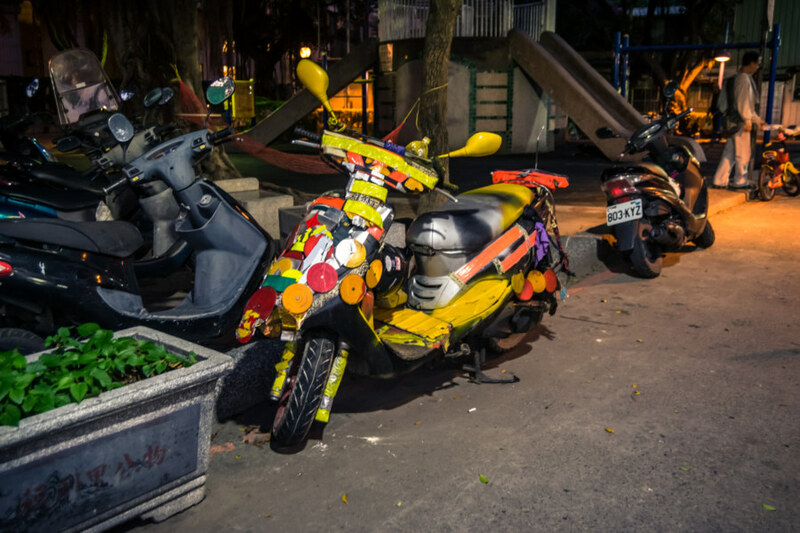 It isn’t unusual to see people personalize their scooters in Taiwan in crude, folksy ways—but this one stands out for the extent and nature of its customizations. Perhaps someone was sprucing up an elder’s ride to make it more visible on the road? Whatever the reason, the end result is rather amusing. 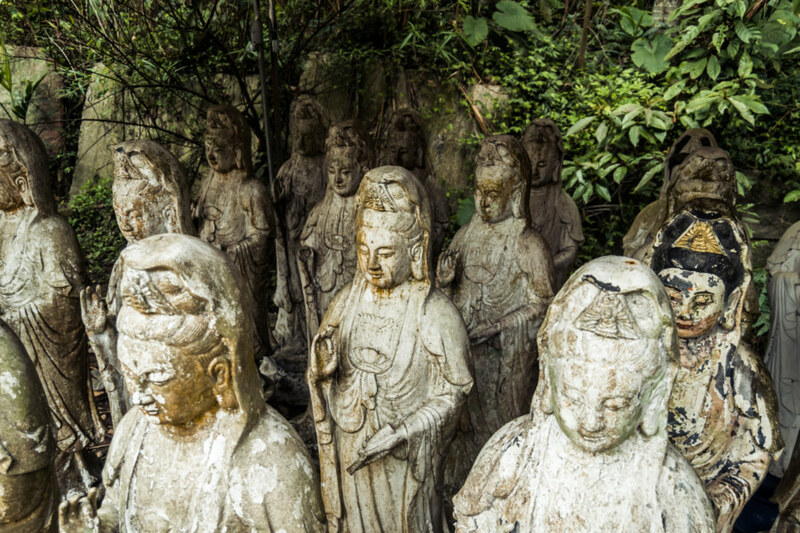 The goddess Guanyin 觀音 is one of the most widely revered deities in Taiwan. If you pay attention you’ll see her form almost everywhere, but not so much in the relatively more sanitized and modern parts of Xìnyì District 信義區, Taipei 台北, where I currently reside. Two days ago it was Guanyin’s birthday, ordinarily a great excuse for a loud street party, but I did not notice anything unusual in my daily travels around the district. What a pity. Plenty of westerners complain about the disturbances caused by temple processions, particularly the clanging, dissonant music and zealous use of firecrackers, but I honestly enjoy the raucous atmospheres of places like Tainan 台南 and Changhua 彰化, two cities I have called home for a while. 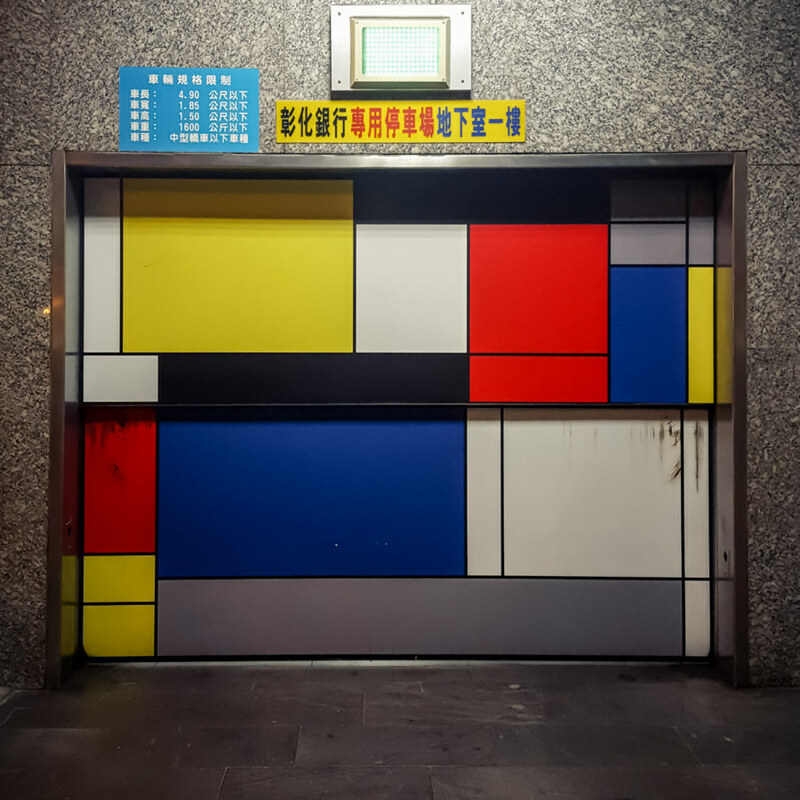 I find Taipei relatively dull and lifeless by comparison—but hey, at least it’s letting me catch up with all the photos I’ve wanted to share over the years.